A Joe Gibbs personal appearance, Joe Gibbs speaking engagement, or Joe Gibbs endorsement will reflect well on your company. To hire Joe Gibbs now for any corporate appearance, fundraiser, motivational speaker event, personal appearance, autograph signing, or website endorsement please contact our celebrity agents at 1-877-6-SPORTS. We will contact Joe Gibbs or contact Joe Gibbs' agent and provide you with the booking fees and availability immediately upon your request. Direct Sportslink is the only sports speakers bureau and talent booking agency based in the United States securing only sports talent for corporations, associations, and organizations for motivational speaking engagements, personal appearances, and endorsements. We are the premier sports celebrity booking agency and a sports celebrity procurement expert. Accordingly, we will provide you with any relevant Joe Gibbs website information and booking agent details so that you can hire Joe Gibbs for your next event. Gibbs is a former NFL coach, NASCAR Championship team owner, and two time NHRA team owner. 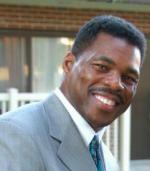 He was the 20th and 26th head coach in the history of the Washington Redskins (1981–1992, 2004–2007). During his first stint in the National Football League, he coached the Redskins for 12 seasons and led them to eight playoff appearances, four NFC Championship titles, and three Super Bowl titles. After retiring at the end of the 1992 season, he switched focus to his NASCAR team, Joe Gibbs Racing, which has won several championships under his ownership. 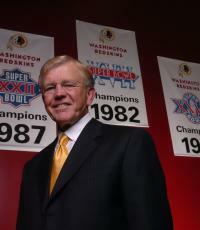 On January 7, 2004, Gibbs came out of retirement to rejoin the Redskins as head coach and team president. 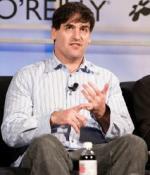 He as since remained with the organization as a special advisor. Based on your interest in Joe Gibbs as a speaker or for a personal appearance, Direct Sportslink has provided you additional links below for other sports talent with similar appearance fees, speaker topics, and categories that match Joe Gibbs.